The theme of “exile” as part of the Pesach Seder. This is how the path of the first Jew began—exile and promise. While Beraishit 15 lays out the destiny of the Jewish people, i.e., first be exiled in Egypt, followed by Divine Intervention to Redeem them from their servitude, a pattern that has been repeated for time immemorial in terms of Jewish history, one could say that the trope of alienation culminating in returning to one’s origins is a very human idea, and therefore not only a specifically Jewish one. Various biblical figures, including those who did not contribute to the direct line that resulted in the Jewish people, experienced such a dynamic. Adam and Eve are exiled from the Garden of Eden; Kayin is condemned not to be able to live peacefully in a single location; Avraham and Sara leave Canaan twice because of famine; Hagar and Yishmael are sent away from the family home in which they spent considerable time; the children that Avraham has with Ketura are dismissed in favor of Yitzchak; Yitzchak and Rivka are forced to relocate for a while; Yaakov has no choice but to live far away from where he has grown up due to his brother Eisav’s threats; Yosef is exiled to Egypt, and what happens to him there as well as to the rest of his family when they reluctantly come to join him, are, on the one hand, considered precursors of future Jewish story, in the spirit of “Ma’asei Avot Siman LeBanim” (the deeds of the fathers are omens for their descendants), but, on the other, also for human beings in general who seem to repeat this pattern of exile and redemption in one form or another over time. (When Thoman Mann wrote Joseph and his Brothers, imaginatively expanding upon the Beraishit account, I don’t think that he was viewing this monumental tale as a specifically Jewish story.) In general, great works of art and literature, perhaps beginning with Homer’s The Odyssey, use the concept of leaving home and eventually being able to return, as a key theme for their creativity. a) RaShI, Ibn Ezra, RaDaK—The verse refers to the Jewish people whom other nations had disparaged, but either have already demonstrated, or will eventually be acknowledged as the light unto the nations (see e.g., Yeshyahu 42:6; 49:6) that God Intended them to be, by virtue of their sophisticated system of laws that has served as the basis for the law codes of others,. b) Metzudat David—The verse alludes to the personal history of David, who rose from being a relatively non-descript shepherd to the greatest King of Israel of them all. MaHaRShA in his Chidushei Aggadeta for Pesachim 119a attributes the verse to David’s battle with the Philistine champion Galyat. Few, Including King Shaul, gave him a chance to be victorious, but David in the end proved them all wrong. c) ChIDA in his work Chomat Anach—Rut, who although originally a Moabite princess, opts to join her mother-in-law Naomi, to become Jewish and return to Israel, despite the prospect of poverty and disparagement that she realized awaited her. Through the intervention of Boaz, who recognized her sterling qualities, she attains status within Jewish society and becomes one of the progenitors first of King David, and therefore ultimately the Moshiach. a’) R. Eitan Shandropi –The current “Gilgul” (representative form) of the Jewish people is the State of Israel. 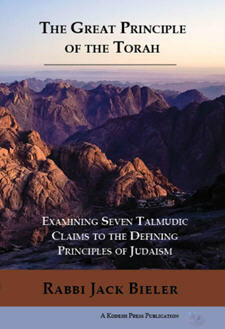 He cites R. Tzvi Yehuda Kook, the late son of R. Avraham Yitzchak HaKohen Kook, to the effect that although many in the Tora world disparaged the idea of establishing a State of Israel, they for the most part have been refuted by Israel’s ongoing physical, political, and spiritual development. The theme represented by the verse in Tehillim reflects the belief in redemption of the rejected and the downtrodden. Although a certain entity, person, and/or idea may be unpopular for a time, it does not mean that in the end, it will not be viewed as ultimately successful and having been ahead of its time. When R. Jonathan Sacks has written on several occasions that Judaism possesses an optimistic perspective, it is verses such as this one that manifest such an attitude, and which offer hope and encouragement to those who currently find themselves in the throes of difficulty. While a “happy ending” will not inevitably be afforded every individual, the people as a whole are promised that they will prove successful in the end, regardless of the difficulties that they encounter along the way. It seems to me that the most interesting and radical of the perspectives advanced regarding the Nimshal of the verse from Tehillim, is the last, articulated by R. Tzvi Yehuda and iterated by R. Shandropi. All of the other views refer to something that already existed, i.e., the Jewish people, David, or Rut. The State of Israel is a most modern entity, which the likes of RaShI, Ibn Ezra, RaDak, and ChIDA could only at best wish and pray for. Naturally, there is a political dimension that raises its head when interpreting the verse as referring to the State of Israel, and the question of whether or not anti-Zionism should be viewed as a semantic twist with respect to anti-Semitism certainly comes into play. Yet, the burning issue that combining these various interpretations of Tehillim 118:22 raises is: have the permutations that Judaism advances as solutions to the human condition been exhausted in the form of the various personalities of the biblical period, or can there be new formulations and responses in the offing, dependent upon ever-evolving circumstances? Is it true that (Kohelet 1:9) “…there is nothing new under the sun,” or can we expect ongoing “Hitchadshut” (renewal) with respect to Jewish life and practices? The latter consideration appears as a repeating theme in several of the essays in the section entitled, “Torat Etetz Yisrael: Celebrating Religious Zionist Personalities and their Tora Thoughts” in the latest issue of Yeshiva University’s “Torah To-Go April 2019, Pesach 5779” .Therefore, perhaps it could be said that when at the section of the Seder designated as Nirtza, we roundly declare: “Next year, let us be in the built Jerusalem!,” and during the synagogue recitation of Hallel as part of Shacharit, we are praising HaShem not only for past miracles, but for those that are ongoing in the present and will hopefully be continuing well into the future in the Land of Israel. The interaction between how we live our lives and God’s Will. Blessed is the Omnipresent One, blessed be He! Blessed is He Who Gave the Tora to His People Israel, blessed be He! Associating an anecdote in the Haggada with another Talmudic story. It happened that Rabbi Eliezer, Rabbi Yehoshua, Rabbi Elazar b. Azarya, Rabbi Akiva and Rabbi Tarfon were reclining (at a Seder) in Bnai Berak. They were discussing the exodus from Egypt all that night, until their students came and told them: Our Masters! The time has come for reciting the morning Shema! We learnt elsewhere: If he cut it (the oven that had become ritually impure) into separate tiles, placing sand between each tile: R. Eliezer declared it ritually pure, and the Sages declared it ritually impure. and this was the oven of “Achnai.” Why (the oven of) “Achnai”? — Said Rav Yehuda in Shmuel’s name: (It means) that they encompassed it with arguments as a “snake” (that coils around its prey) and proved it ritually impure. R. Natan met Eliyahu and asked him: What did the Holy One, Blessed Be He, do in that hour? — He Laughed (with joy), and Replied, Saying: My Sons have defeated Me, My Sons have defeated Me. A comment regarding human wisdom. A dispute as to where wisdom resides. R. Eliezer says: In the head. Understanding the different wisdoms of the head and the heart. Both are right in a sense. There are two kinds of wisdom: that of the head and that of the heart. And this is the difference between the two: with our head or intellect we create the practical means of living; with the heart we conceive the values of life. In the Haggada containing excerpts from R. Eliezer Berkovits’ writings, Faith and Freedom, the discussion associated with the blessing that concludes the “Kadesh” section of the Seder—B’A’H’ E’M’H’ Shehecheyanu, VeKiymanu, VeHigianu LaZeman HaZeh (…Who has Kept us alive, and Fortified us, in order that we have been able to reach this moment)—is expanded upon by a passage from R. Berkovits’ book Crisis and Faith, Sanhedrin Press, New York, 1976, pp. 151-2. R. Berkovits suggests that for Jews, due to their historical experience, there is a continual, ongoing dialectic between the past, that is traditionally associated with sadness, mourning and exile, on the one hand, and the future, representing joy, redemption, and consolation, on the other. a) The Three Weeks, beginning with the communal fast of the 17th of Tammuz, and culminating with the 9th of Av, and Shabbat Nachamu, the Shabbat immediately following this terrible time, and ushering in the Shiva D’Nechamta, the seven weeks of Haftarot of comfort. b) The Ten Days of Repentance, reaching a climax on Yom HaKippurim, complemented by Sukkot, a time informed by great happiness and celebration. c) The work week when we are reminded of the difficulties of everyday life, leading in to Shabbat, representing the essence of the World-to-Come. (It seems to me that Pesach is the most poignant of R. Berkovits’ examples, in the sense that whereas the other three do not require the individual to simultaneously focus on the two extremes, but rather one always follows the other, Pesach, by noting that it is incumbent upon the Jew to sense freedom, in the spirit of the Mishna in the last chapter of Pesachim: “A person is obligated to view himself as if he has personally left Egypt,” is more challenging. Seeing yourself as having been redeemed while still in the throes of persecution and suffering would be a tall order for anyone! The present as the meeting place for the powerful emotions arising from the experiences informing past and future. According to R. Berkovits’ above-stated sentiments, Jewish history becomes an important mitigating factor in Jews not becoming too “high” or “low” with respect to any situation in which they presently find themselves. The recognition that terrible circumstances can always be improved offers hope to even the most presently downtrodden; but at the same time, people should not be carried away with what they perceive as current “success” since such conditions can also change rapidly and decisively. The contrapuntal nature of life would appear to favor those who remain on a relatively even keel in order to be prepared for the next sea-change that can never be totally anticipated. Recently listening to a tape of a Purim Shiur delivered by R. J.B. Soloveitchik during the 1970’s, I was taken by his perception of the interplay between past, present, and future. He stated that memory is the manner in which man preserves the past, and using his senses is how he perceives the present. However, he observed, the future can never be foreseen and therefore is the cause of much human anxiety. Since we can never know what will take place over the course of the next year, let alone “during the next five minutes,” modern man is beset by fears and insecurities. It would appear that R. Berkovits would respond that while the specifics can never be known with certainty, a certain modicum of hope, based upon God’s Intercessions with the Jewish people in the past, is appropriate. Of course, whether that is sufficient to offset the deep angst that man senses by not knowing what lies “around the corner” might be a function of personality or psychological verity. I think that another factor that enters into this difference of opinion between R.’s Berkovits and Soloveitchik concerns whether we place our emphasis upon the future of the Jewish people, or the Jewish individual. While there are guarantees that “Netzach Yisrael Lo Yishaker” (God will not Misrepresent any Promises that He may have Made), the Promises were to the nation as a whole, and not to individual members of that nation. An abject example of such a dichotomy is on Rosh HaShana, when we speak about the Books of Life and Death being open so that individuals can be inscribed regarding the year to come, we recite the liturgical poem “UneTaneh Tokef” where the lines that can do little other than deeply frighten the reader when he dutifully says, “Who will live and who will die,” and we attempt to demonstrate by invoking the verses of Malchiyot, Zichronot, and Shofrot, that we accept God’s Rulership over us and the world, are balanced with wearing Yom Tov clothing, eating festive meals, and gathering together as families. We celebrate as a people God’s Commitment to us; yet as individuals we are full of trepidation regarding the upcoming year. Which approach to time would you advocate—that of R. Berkovits, the one propounded by the Rav, both, or other conceptions? The Beracha “SheHecheyanu,” which I believe to be profoundly existential, raises these same issues again and again. A Holocaust story about the horrific problems inmates confronted in trying to maintain their Jewish observances. The Haggada that I have been reading this year in preparation for this coming Pesach Seder is the Faith and Freedom Passover Haggadah, comprised of excerpts from the extensive writings of R. Eliezer Berkovits, compiled and edited by Reuven Mohl (Urim Publications, Yerushalayim, 2019.) As someone who lived through the terrible period of Jewish history in the 1940’s, R. Berkovits wrote extensively about his thoughts and recollections of the Shoa, and on pp. 22-3, accompanying the “Kadesh” section of the Haggada (the first of the 15 sections into which the Seder service is divided, when Kiddush for Yom Tov evening is recited), he recounts a tale told of one Yoshua Alterman on the last Pesach of the war in the camp at Waldenburg. Though it is Pesach, you are all obligated to eat Chametz, the leavened bread of the camp (that constituted the meager rations that were given to the prisoners.) I, however, am strong enough. I must not, for I can do without it. (In Irving J. Rosenbaum’s The Holocaust and Halacha, a volume devoted to Halachic responsa that arose from the dilemmas faced by Jews as they attempted to navigate the impossibilities of their respective situations and at the same time adhere to Jewish ritual practice, he notes that at least some Jews felt that by continuing whatever religious practices they were able to observe, they would retain a modicum of sanity despite the intense craziness that surrounded them. of a Mishna dealing with the issue of Tzora’at as it applies to a house. 40 Then the Priest shall command that they take out the stones in which the plague is, and cast them into an unclean place without the city. 41 And he shall cause the house to be scraped within round about, and they shall pour out the mortar that they scrape off without the city into an unclean place. 42 And they shall take other stones, and put them in the place of those stones; and he shall take other mortar, and shall plaster the house. it has been inferred: Woe to the wicked, woe to his neighbor. Drawing a reasonable conclusion based upon the Talmudic principle “MiChlal Lav, Ata Shomei’a Hehn” (from a negative prohibition you derive a positive Commandment). In R. Jonathan Sacks’ 2001 internet Devar Tora on Parashat Metzora, “Is There Such a Thing as Lashon Tov?”, he plays off the Rabbinic contention that Tzora’at comes about primarily as the result of speaking “Lashon HaRa.” If it is a punishable transgression to engage in evil speech, R. Sacks wonders, then should we infer that “good speech” about another, i.e., is taking every opportunity to praise other human beings a Mitzva obligation? Commonalities in two purification processes. 4 Then shall the priest command to take for him that is to be cleansed two living clean birds, and cedar-wood, and scarlet, and hyssop. 5 And the priest shall command to kill one of the birds in an earthen vessel over running water. 6 As for the living bird, he shall take it, and 1) the cedar-wood, and 2) the scarlet, and 3) the hyssop, and shall dip them and the living bird in 4) the blood of the bird that was killed over 5) the running water. 7 And he shall sprinkle upon him that is to be cleansed from the leprosy seven times, and shall pronounce him clean, and shall let go the living bird into the open field. 2 …they bring thee a red heifer, faultless, wherein is no blemish, and upon which never came yoke. 3 And ye shall give her unto Eleazar the priest, and she shall be brought forth without the camp, and she shall be slain before his face. 4 And Eleazar the priest shall take of her blood with his finger, and sprinkle of her blood toward the front of the tent of meeting seven times. 5 And the heifer shall be burnt in his sight; her skin, and her flesh, and 4) her blood, with her dung, shall be burnt. 6 And the priest shall take 1) cedar-wood, and 3) hyssop, and 2) scarlet, and cast it into the midst of the burning of the heifer… 11 He that toucheth the dead, even any man’s dead body, shall be unclean seven days; 12 The same shall purify himself therewith on the third day and on the seventh day, and he shall be clean… 17 And for the unclean they shall take of the ashes of the burning of the purification from sin, and 5) running water shall be put thereto in a vessel. 18 And a clean person shall take hyssop, and dip it in the water, and sprinkle it upon the tent, and upon all the vessels, and upon the persons that were there, and upon him that touched the bone, or the slain, or the dead, or the grave. Read the latest review: “A deep, yet quite rewarding book“, Review by Ben Rothko, appearing in The Times of Israel Website, April 20, 2017. © 2002-2019 Contemporary Explorations of Jewish Texts and Thinkers, Inc. All rights reserved.